This Basil Chicken Sandwich is simple, but delicious. You will not have to spend a lot of time putting it together and it uses ingredients that almost everyone has in their kitchen! 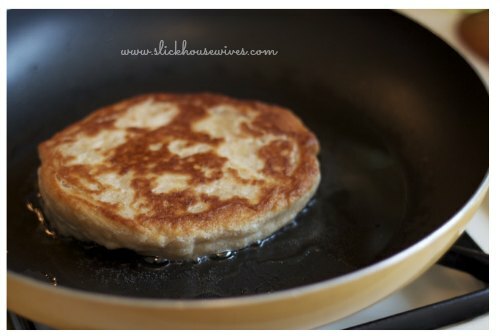 For this recipe I used some bread dough I had left from the night before, I fried up some fresh sandwich bread in my skillet. 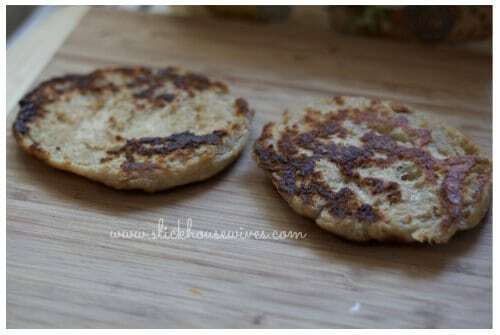 If you don’t have bread dough, you can use a toasted bun! Grab some chicken and trim off the excess fat that may still be on it. 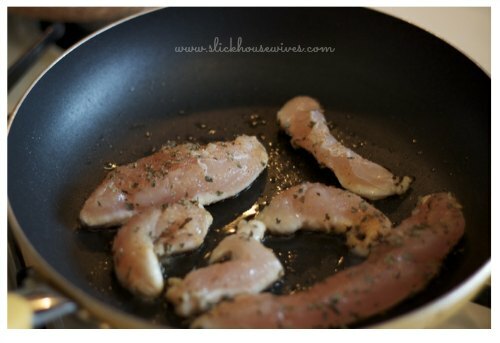 I use either breasts or tenderloin. Either one is fine. 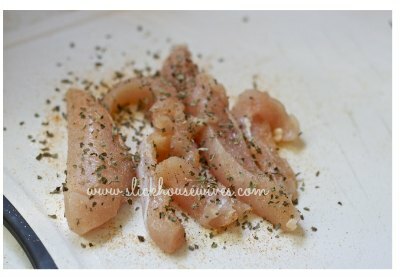 Cut it into strips and season the chicken with salt, pepper, garlic salt, onion powder, seasoning salt, and lots of basil. Heat a pan with some oil, olive or vegetable, either one is fine, over medium-high heat. Cook the chicken until all of the pink is gone. Now this next part is completely optional, but absolutely delicious. You can use any old bread or bun you have around and you will still love this sandwich, but if you want that extra YUM, try this sometime! Take a small ball of fresh bread dough and flatten it out until it’s a bit bigger than your hand. Using the same skillet you cooked the chicken in over medium-low heat with a couple of tablespoons of oil in it, and place the bread dough in it. 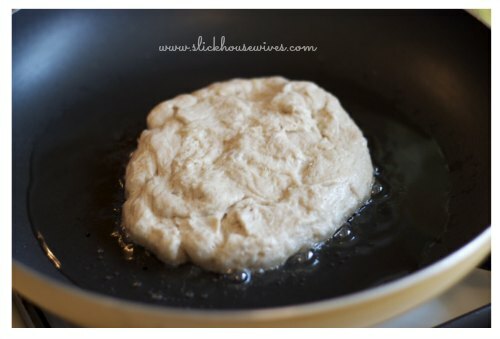 Let the dough cook until it starts puffing up and browns on the bottom, and then flip it over. Cook the other side until the bread is cooked through and the bottom side is browned. Tap the dough. It should sound hollow. If it doesn’t, place it in your oven preheated to 350 degrees for about 10 minutes and that should finish off the cooking. Cut it in half and brown the insides in the pan if you’d like some extra crunch. 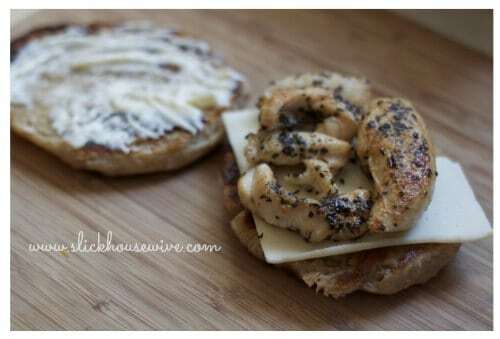 Spread some mayo on the bread, put a piece of creamy havarti on it, and then put the warm basil chicken on the cheese. Do you have the tools it takes to build an amazing sandwich? 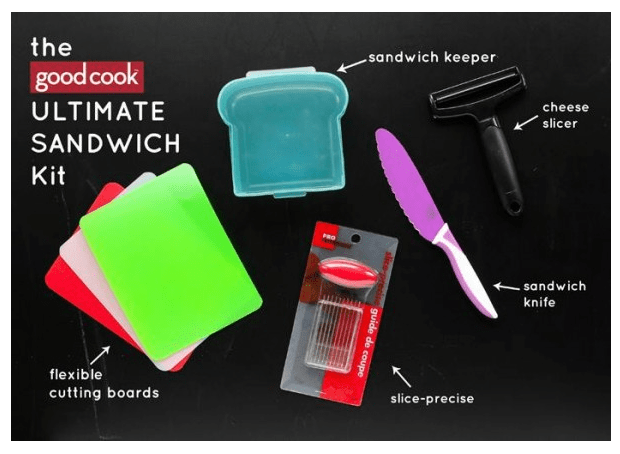 Good Cook has put together the Ultimate Sandwich Kit to help you learn how to build a better sandwich!! I love being a Good Cook blogger because I love working with a great company that has all the tools moms need to have in their kitchen. And not only do I get to use Good Cook products so I can tell you about them, but I get to bring you great events like The Amazing Sandwich event where you can enter to win Good Cook products! There will be 3 Ultimate Sandwich Kit Winners from my blog’s giveaway! Be sure to come back tomorrow for daily bonus entries. Check out the linky list at the bottom of this blog post to visit other Good Cook bloggers for their Amazing Sandwich recipes and giveaways. Please use the Rafflecopter entry form below. This giveaway is open to USA entrants ages 18 and up; ends on June 30, 2013. 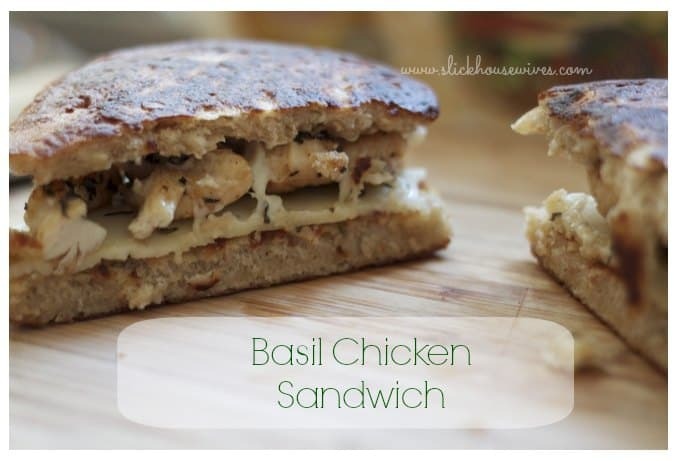 For more great recipes like this Basil Chicken Sandwich, make sure to check out our Recipes section! That looks like a real treat of a sandwich! My favorite sandwich is a reuben!